The Tabard Inn is a historic landmark and my favorite brunch spot in DC's Dupont neighborhood. The inn originally opened in 1922, serving as a party house of sorts. After it's expansion, Tabard Inn opened as a hotel and provided shelter to Navy Women Accepted for Volunteer Emergency Service (WAVES) during World War II. Today, the bustling boutique and restaurant continues to capture the old inn charm, with its cozy living room and welcoming fireplace, while Executive Chef Paul Pelt and Pastry Chef Huw Griffiths serve up fresh, seasonal, and inspiring dishes. Nicole and I decided to celebrate an early Christmas at Tabard Inn. It's the perfect place to take out-of-town visitors, your mom on Mother's Day, or any other special brunch. I warn you, reservations can be hard to come by (if it's a holiday, you better plan on calling weeks in advance). We couldn't get one and waited a little over an hour to be seated. Luckily, the waiting area is cozy and the restaurant allows its guests to order beverages and their legendary donuts while sitting by the modest fire. 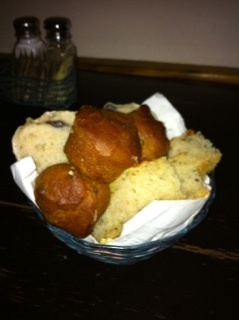 When we were finally seated, a basket of assorted house baked bread hit the table. For my main course, I ordered the poached eggs with parmesan grits, spicy beurre blanc, and pork belly. I've had this here before, and was just as wowed the second time around. 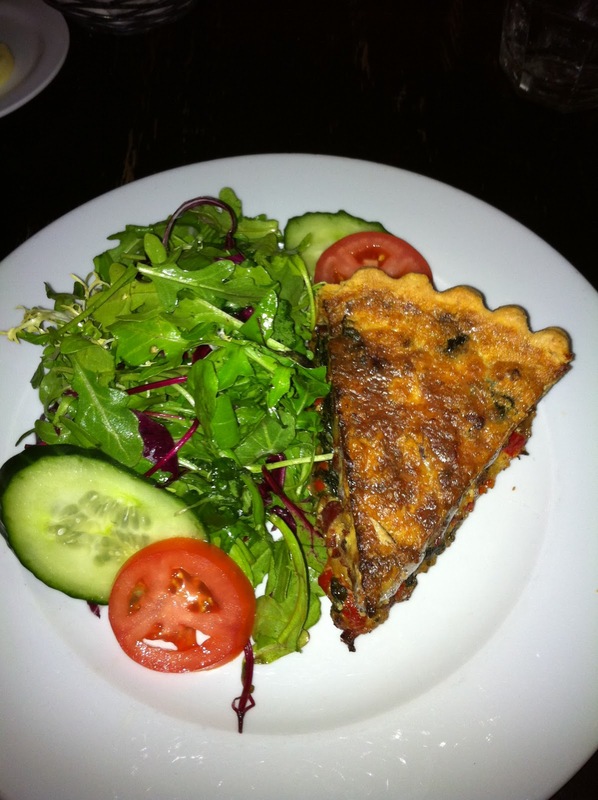 Nicole ordered the quiche, also very flavorful and served with mixed greens. 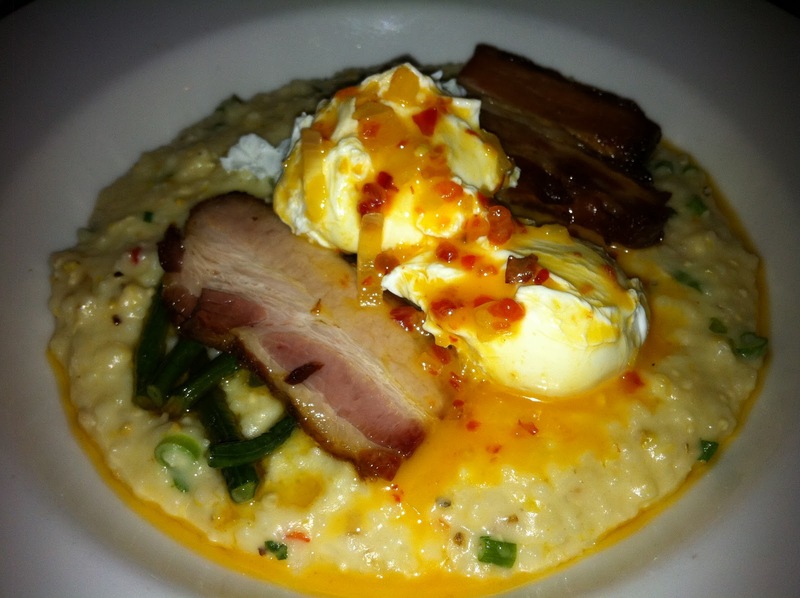 Brunch pricing at the inn's restaurant is on par with the Dupont brunch scene. In fact, I think it actually may be a little better considering the the quality, uniqueness, and ambiance. Service is good and the coziness is just fantastic. I absolutely love this place and recommend you move it to the top of your "must do brunch" list. Those food look delicious! Looks like Tabard Inn will be worth checking out to taste these delicacies. Thanks for sharing those photos, I can almost taste them!